Do you wish you had a more beautiful, more confident smile? At The Dentists of Orenco Station, Dr. Brandon Kearbey and Dr. Malinda Kearbey can provide effective cosmetic care with some of today’s best cosmetic dentistry services. Dr. Brandon and Dr. Malinda commit themselves to advanced continuing education in the areas of cosmetic dentistry and reconstructive dentistry. They continue to be trained through Spear Education, a leader in the field. After many hours of study at home, Drs. Brandon and Malinda traveled to the Spear Center in Scottsdale, AZ for an intensive hands-on course. They are also involved in a local Spear Study Club that compliments the other aspects of this education. Through this always ongoing process, they are able to provide you with the best possible care available. Using one or more of these, we can help you eliminate embarrassing stains, hide chips or cracks, and straighten misaligned teeth. Of the cosmetic dentistry services we offer, teeth whitening is one of the most popular. That’s partly because staining is something we all have to face. Many stains are caused by regular, everyday things like coffee, tea, red wine, or soda. Other things that can contribute include tobacco use, aging, and even some medications. Dr. Brandon Kearbey and Dr. Malinda Kearbey offer two whitening solutions for Hillsboro patients to take advantage of: in-office and take-home teeth whitening. Both can deliver professional results in a way that’s convenient for patients. 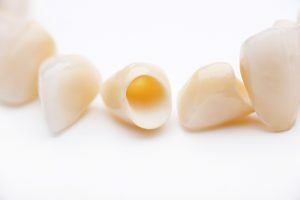 Porcelain veneers are also popular for their ability to whiten teeth, in addition to hiding flaws like cracks or chips. The porcelain veneers process takes at least two visits and yields results that look natural and will last for years to come with proper care. Finally, ClearCorrect is both a restorative and cosmetic dentistry service that uses invisible braces to move teeth into their ideal alignment. With teeth correctly aligned, patients can enjoy improved confidence and better oral health. Do you want to know more about a particular service? Dr. Brandon Kearbey and Dr. Malinda Kearbey would be happy to answer your questions. Following a consultation, they can also recommend a specific plan that will meet your personal needs. 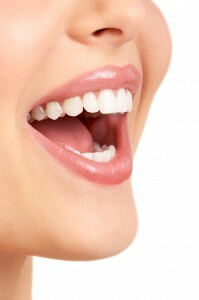 Call The Dentists at Orenco to reserve an appointment and begin the consultation process. We’re happy to serve patients from Hillsboro, Cornelius, Forrest Grove, Beaverton, and Rock Creek.